Normally when we travel for shoots we get to drive our big comfortable Suburban around with all of our gear safely in the back. This was not the case this year for the Super Bowl in New York City. 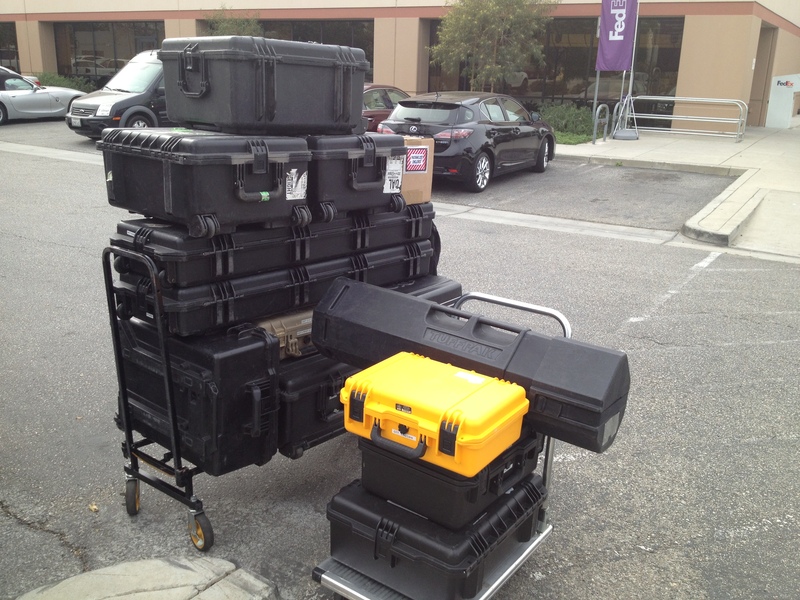 Dan was away in Aspen, Colorado shooting the X Games so I was left to ship over 15 cases worth of equipment to NYC! Once everything and everyone was in New York we had quite an action-packed week. We shot features with the likes of Peyton Manning and Richard Sherman, red carpet interviews packed with celebrities, as well as stand ups with the NFL Network show hosts. We traveled to many iconic locations such as the Statue of Liberty, Empire State Building, Radio City Music Hall, Times Square, and more! 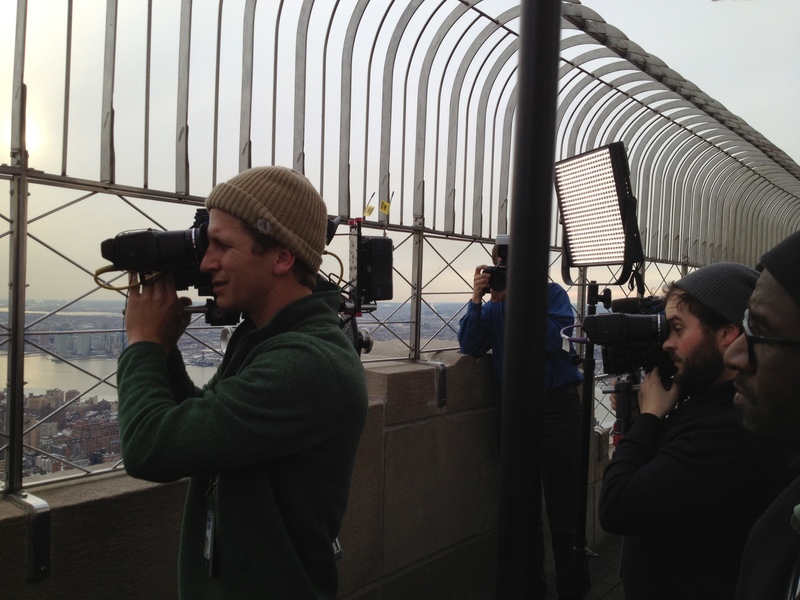 We shot features on anything from the HDX900, Sony F3, and the Sony F55. On gameday, while Dan and Mark prepped their cameras to shoot game footage, Joel and I followed Terrell Davis around on the field before the game as he tried to pump up some of the current Broncos and even stopped for a chat with John Elway himself. It was an unforgettable week to say the least, and despite the temperatures dropping into the teens-quite a shock coming from beautiful Southern California, I had a blast working with NFL Network and getting to experience the first ever cold-weather Super Bowl! 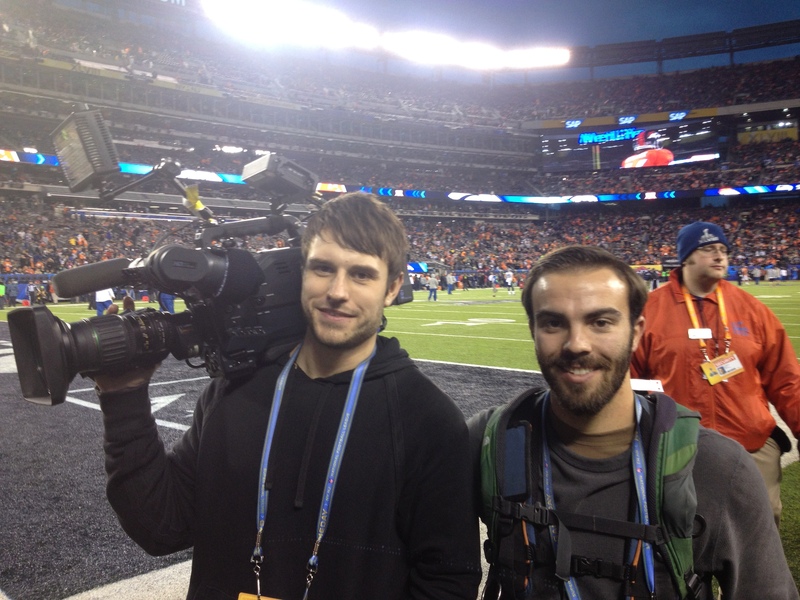 If you’re interested to see more of the sights from Super Bowl XLVIII check out the video below!